← IHG Accelerate Third Quarter 2017 Promotion. This is a great opportunity to use your Chase Ink Plus or Ink Cash to maximize your 5X or 5% spending at office supplies stores. This offer is only valid on in-store purchases. 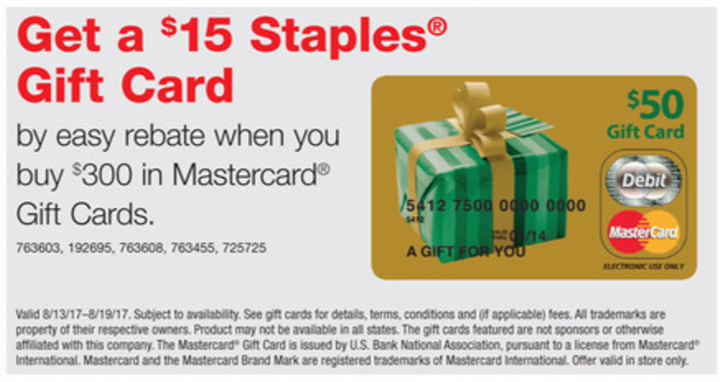 Staples Easy Rebates take about 6 – 8 weeks to mail your Staples gift card to you after completing your rebate submission online. Chase Ultimate Rewards are very lucrative and are great for transferring to partners like Singapore Airlines, Korean Air or Hyatt.